The Churches of Britain and Ireland website. This Place of Worship was founded in 1889, but we understand it was closed in 2017. Said to have changed little since opening, according to a History of Methodism in Derby and District, on the Derby Methodist History website. 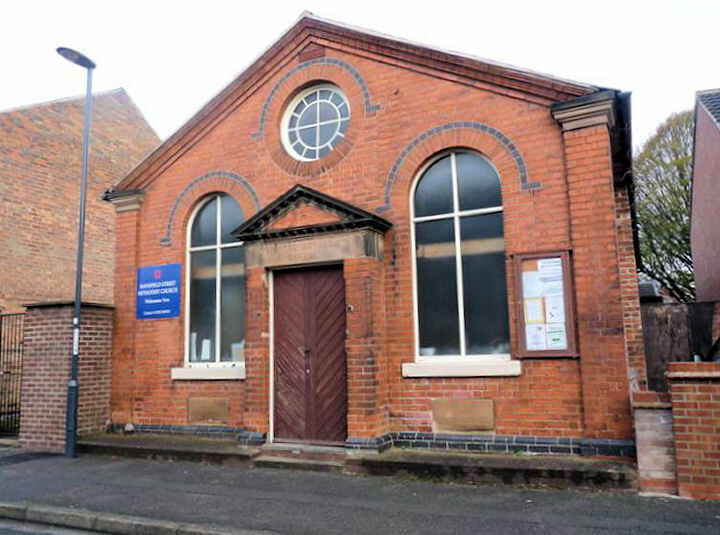 My most recent information is that Mansfield Street (Chester Green) Methodist Church was closed in June 2017. This information was (in December 2018) available on The Methodist Churches in Derby website. Mansfield Street Methodist Church, Chester Green, Derby shown on a Google Map. Places of Worship in Derby shown on a Google Map. I have found many websites of use whilst compiling the information for this database. Here are some which deserve mention as being of special interest for Chester Green, Derby, and perhaps to Local History and Places of Worship as a whole. Information last updated on 8 Dec 2018 at 14:13. This Report was created 18 Apr 2019 - 02:35:43 BST from information held in the Derbyshire section of the Places of Worship Database. This was last updated on 6 Feb 2019 at 15:49.